Maria Sharapova is one of the greatest tennis players around in the world now; never mind the dominance of the sport by the Williams’ sisters, especially Serena. 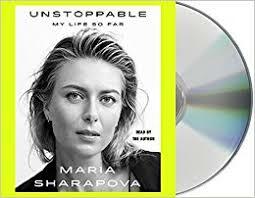 Maria has just written a book, and though this is an essentially “African” blog, we must take notice of a book written by a talented, lovely, blonde lady who was also perhaps the highest paid woman in sport for years. 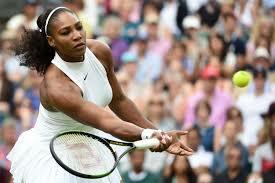 “…Williams and her sister Venus Williams are the two most successful tennis players in the modern era. They’re also black. And throughout their careers, every milestone they’ve hit has come with a side of racism and sexism. Their bodies have been scrutinized and lampooned. Their integrity has been questioned, and rumors about them taking steroids have circulated repeatedly. They’ve been called gorillas and likened to men playing against women. The underlying theme throughout their careers has been centered on one thing: that there’s something incomprehensible and unfair about black athletes beating stellar — sometimes they’ll be mythologized as being superhumanly strong; other times it’s something more nefarious, like being on steroids. Sharapova’s words about Williams in her book fit this pattern. According to their official listed heights, Sharapova is 6-foot-2 and Williams (below) is 5-foot-9. It’s bizarre to see Sharapova refer to how towering another player is when she herself is 5 inches taller. Brilliant observation! So the lovely white chick is actually much taller than our Serena! I am still rolling around in laughter....I need a drink! Hear: "It’s bizarre to see Sharapova refer to how towering another player is when she herself is 5 inches taller." There should be an exclamation mark at the end! Well, at least the main protagonists here, even our black sisters, belong to the so called civilized western world...they will still exhibit proper etiquette, with hypocritical refined behaviour, and plastic smiles! This is very good. I am going to print it out now and keep it in file, for reference purposes.